Last week I attended an American Marketing Association luncheon in Seattle where REI took us through how they integrate the “Voice of the Customer” into their marketing. As a brand-building strategy, REI has recognized the power of UGC (User Generated Content) and has developed effective ways to harness it. They have lots of material to work with, given the rich content (largely images and videos) their members already love to share. Embrace it. That is, welcome content from members via calls to action. Share it. REI provides direction on what type of content they are looking for so that they can use UGC as a way to share the brand’s point of view. Host it. REI has built their own platform so that they can better guide the conversation as well as utilize their own metrics. 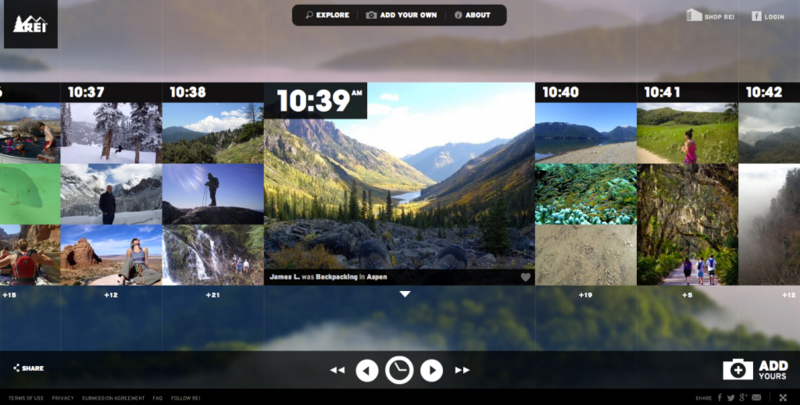 This site gives members a platform to share their outdoorsy, activity-related photos. It is a joy to look through. Ultimately at the AMA event, REI encouraged marketers to be sure of their objectives for engagement as well as going where the customers are – so ask yourself: what are your customers already doing? To understand what your customers are doing, or to learn how to harness the power of social media, contact us.